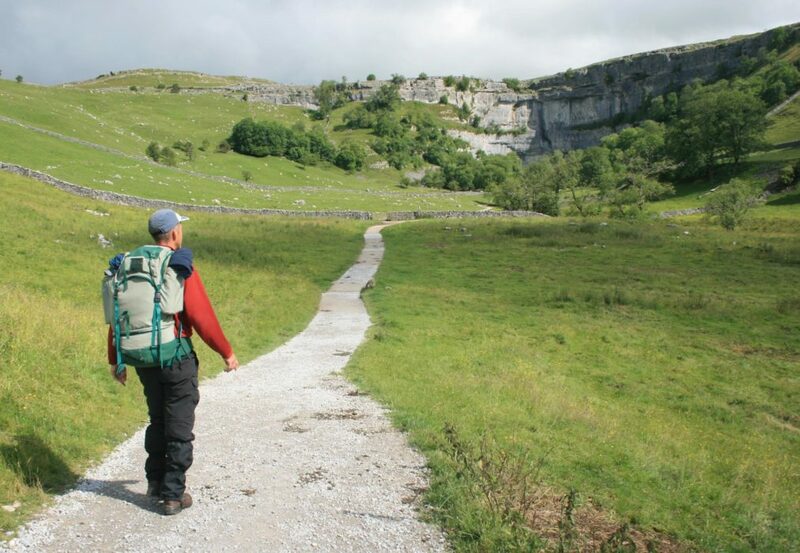 To celebrate the launch of 'The Pennine Way - the Path, the People, the Journey', we have another wonderful extract from Andrew McCloy's new book. 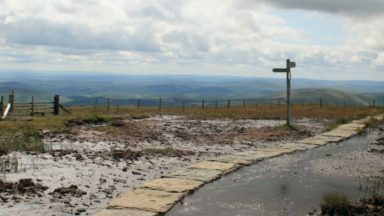 We hear about some of the tales walkers have to share of their journey, and consider whether the Pennine Way might be more like a pilgrimage. 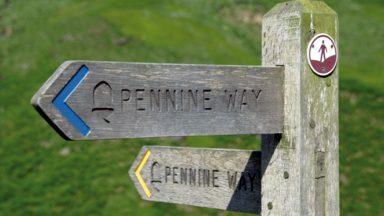 Personal challenge, a sense of achievement and overcoming adversity have been motivating Pennine Way walkers for over half a century, but is the trail's hard-hitting reputation a little over-egged? 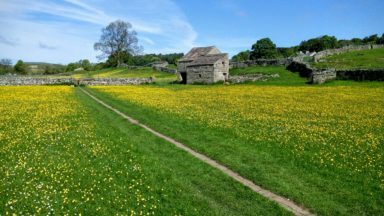 If talking the Pennine Way talk is just as important as actually walking the walk, what really inspires people to attempt the route in the first place? 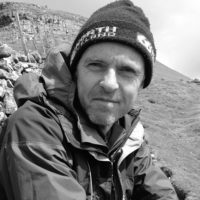 ‘Over the years I met lots of serious walkers who had said that they were going to complete the Pennine Way one day,' said Steve Westwood, who for 15 years was the Pennine Way National Trail Officer. 'It's as if it was something that they aspired to and spent their life working towards.’ Steve first walked the Pennine Way in full when he was 16, setting off with two fellow Scouts who eventually fell by the wayside. 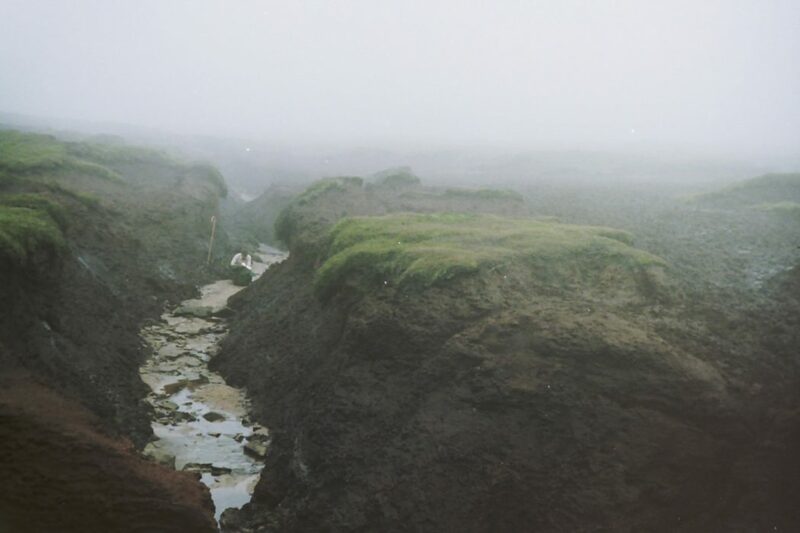 I first walked the trail in 1986, before the bogs were tamed by the miles of slabs which now ensure a rather drier passage through the worst areas of slutch which used to characterise the Pennine Way. One of my abiding memories was of my companion sinking up to his waist in a hole, having wandered off the path at Redmires after crossing the M62. I recall thinking of us like the First World War infantry, weighed down with huge packs, slogging up the line, head down into the withering fire of the slanting rain. Pennine Way walkers seem to thrive on horror stories, of days spent adding unnecessary miles to an already long day due to losing the way, pubs refusing to serve food when nowhere else is open, blisters as big as golf balls and toenails turning black, soaking wet gear and nowhere to dry it – the stories are told and relished wherever Pennine Way walkers get together. Wherever walkers gather they delight in outdoing each other’s war stories, including me. I wonder if recollecting those times of hellish struggle against the elements, blisters, tired legs, aching back, heavy sack, etc. is more fun than the actual doing of it? My recollections are nearly all good ones. Of meeting like-minded walkers and spending time with them in the pub, the German beer in the Lister Arms in Malham, the snack caravan at Bleakedgate Moor where the bacon sandwich tasted like a gourmet meal, Pen-y-ghent on a brilliant June day with views as wide as the sky, the walk along the Tees with the meadows in full bloom, a family of partridge chicks frantically shepherded away by their mother on Ickornshaw Moor, inquisitive cows near Gargrave, trooping behind me as if I were the Pied Piper, drying my gear in front of the fat-bellied stove at the bunkhouse in Baldersdale, the taxi driver in Haltwhistle who went the extra mile, the hostel in Malham who wouldn’t charge because new carpets were being fitted, waiting in the White Swan at Hebden Bridge for a companion who was waiting for me in the White Lion, watching the World Cup match at Keld and enjoying a pint at breakfast at Tan Hill – the experiences are what makes the Pennine Way, not the walking. The walking is good and bad, easy and hard, memorable and forgettable, all these things rolled into one. The unfortunate truth is that too many people walk it for the wrong reasons. Instead of appreciating it for its very real scenic merits and diversity, many regard it as a challenge and attempt to walk it as fast as possible just to prove how tough they are. In the process they may gain nothing but a few blisters, some injury to their pride if they fail, and a lasting prejudice against walking long distance paths in particular. ’In other words, they had the experience but missed the meaning. He went on: ‘But if you’re tough enough it makes for a very rewarding expedition. In many ways, the Pennine Way is a pointless exercise, leading from nowhere in particular to nowhere in particular, via no particular route, for no particular reason. But to embark on the walk is to surrender to its lore, and to submit to its logic, and to take up a challenge against the self. 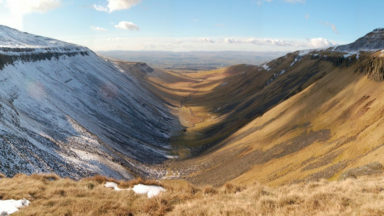 According to the 1971 Pennine Way Survey, the two overriding reasons given by ‘whole way’ walkers for walking the Pennine Way were ‘challenge’ (stated by 86 per cent) and ‘unique experience’ (51 per cent). Scenery and peace and quiet were the main motivations for day walkers. Two decades later, the 1990 survey results were broadly similar, although long distance walkers now cited ‘wild country’ and the prospect of ‘getting away from it all’ as the principal answers, with ‘challenge’, ‘scenery’ and the opportunity for ‘good walking’ as other reasons. For day walkers, ‘scenery’ and ‘fresh air’ were still the two key motives. The qualities of the scenery that most appealed to walkers were the wildness and openness of the countryside, and its unspoilt nature … the appeal of ‘peace and quiet’ could be seen to involve not only a desire for ‘solitude’ and ‘remoteness’, but also a desire to escape from everyday life – ‘to get away from it all’ … it seems that no quality could define the unique experience to which many walkers referred; this appeared to derive from the great variety of pleasures that the Pennine Way had to offer. 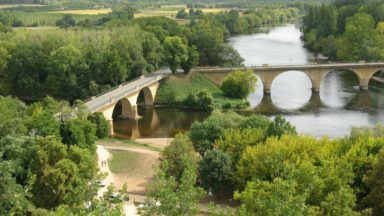 Long distance walkers and particularly whole-way walkers are a select group – predominantly young men with enough fitness and stamina to walk the route – who look for a measure of exclusive use of the route to enjoy solitude and ‘getting away from it all’. As I neared the end of my own Pennine Way adventure in 2015 I tried to figure out what the Pennine Way was all about for me and exactly why was I walking it. Certainly there was the physical and mental challenge, for me the midlife test. Was I up to it, could I push myself all the way? Now I could answer ‘yes’, especially if the extent of my discomfort was simply wet feet and a few aching joints. Then there was the trailwalking ambition and the ‘once in a lifetime’ completion of the country’s premier long distance footpath, the Route 66 of my imagination for so many years. But there was something else that was becoming apparent as I strode through the hills of northern England for a third week. 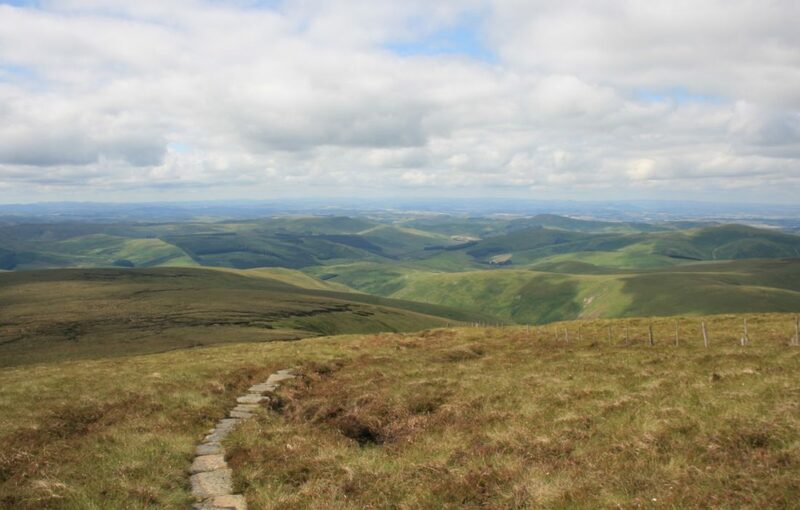 It was less tangible than the more obvious motivation of challenge or ambition, not easy to articulate, but the experience of walking the Pennine Way was taking me not just to Scotland but also to somewhere else entirely. It was bigger than me, happening on a different level, and it could only be felt and not simply done. This extended, measured walk through the hills was giving me the time and space for quiet and prolonged introspection. I found myself reflecting on so many things, including who I was (or thought I was) and what was important to me. I hadn’t necessarily found any clear answers yet; perhaps they wouldn’t all come and maybe it wasn’t even necessary to find them – just contemplation alone was enough. Nevertheless, the experience of journeying at length along this path and the repeated interludes of solitude had the effect of elevating me above the humdrum, the hectic and the everyday to a place where there was calm, space and time. How often in my adult life had I experienced that? In particular, Steve emphasised how the human body attunes to the rhythm of walking day after day and the benefits this brings. ‘We are designed to walk and our bodies work a lot better when we do,’ he explained. ‘Getting into this daily routine of simply putting one foot in front of the other, amid the fresh air and wide horizons, is a great way of dealing with stress and ordering the mind. 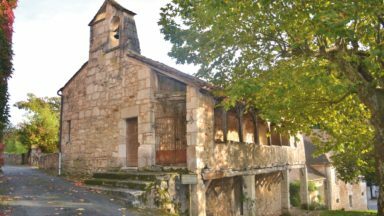 If nothing else, it gives you thinking time.’ Arguably, you could have this experience on any long distance footpath or protracted walking journey through wild or remote places, and many of course do. 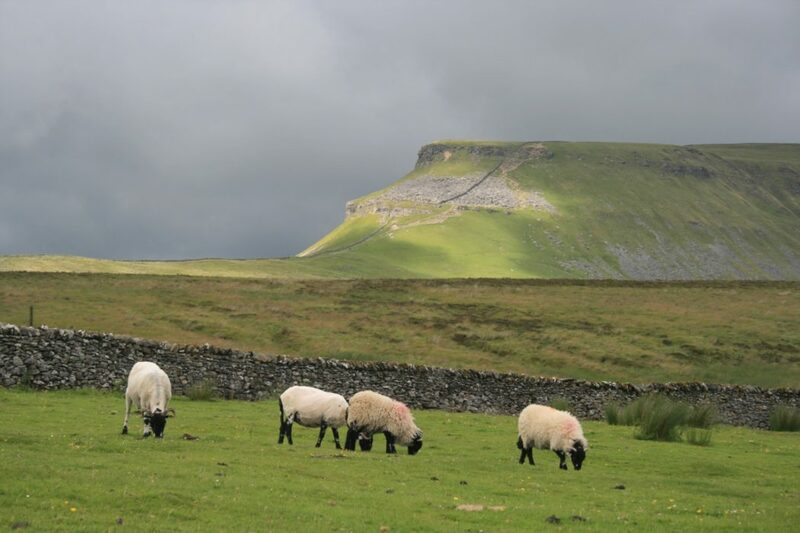 But I suspect that the complex and high-profile nature of the Pennine Way, with its reputation bordering on mystique, draws more people in and perhaps heightens the experience – for good or for bad.